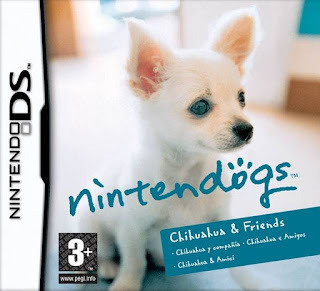 Nintendogs Chihuahua & Friends NDS apk android for DraStic free download working on mobile and pc,Nintendo DS EmulatorIn Nintendogs, you can raise up to three adorable puppies and play with them to your heart’s content. Teach your pups new tricks: just speak into the system’s microphone and they’ll respond to the voice commands you’ve taught them, then use the DS touch screen to play with your puppy. 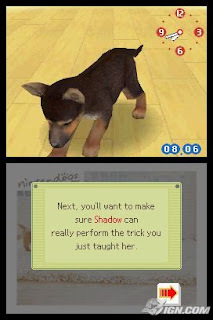 There are even be modes in Nintendogs that support a wireless connection. The US version features the chihuahua, German shepherd, boxer, cavalier King Charles spaniel, Yorkshire terrier and Shetland sheepdog. 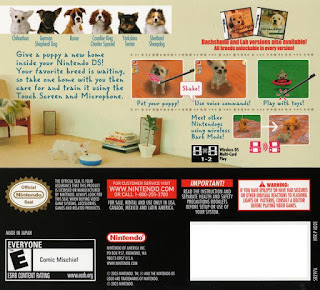 The Japanese edition features the Chihuahua, Beagle, Shih Tzu, Cavalier King Charles Spaniel, and Labrador Retriever.Pick from more than 15 of the most popular dog breeds, including Labradors, Chihuahuas, beagles and more, then care for and train the puppy using the touch screen and microphone. Pet the pup, acquire and play with more than 100 items like tennis balls, flying discs and even clothing accessories. Teach your dog to do tricks by creating your own personalized voice commands. Train your pups well and compete in obedience and agility trials. Win these competitions to earn cash, which you can use to buy supplies and even more dogs to keep your first puppy company. Walk puppies around the town to meet neighborhood dogs or interact wirelessly with friends’ Nintendogs using the innovative Bark Mode. Storyline: Players care for and train their puppy by petting it, walking it and buying it supplies to play with. As a puppy competes in obedience and agility trials, owners can win money to purchase other puppy breeds. Characters: Puppies from the most popular dog breeds, like Chihuahuas, Labrador retrievers, beagles and German shepherds. There will be more than 15 breeds in all, including breeds not featured in the Japanese versions. The pups will vary in gender, coloration and personality. How to progress: Players purchase one of several breeds available at the beginning, then start spending time with their pup. They throw flying discs and balls to improve the pup’s agility, bathe it when it gets dirty and use their own personal voice commands to train the dog to do tricks. If players train it well enough, they will excel in obedience and agility trials and disc competitions, which will earn money that they can use to buy other supplies and puppy breeds. When players earn enough cash, they can buy even more puppies to live with their original pup. Special powers/weapons/moves/features: Players can socialize their pups by walking them around the town, where they will meet neighborhood dogs, and maybe even find new toys. Trips to the park and gym offer valuable training time to prepare for agility trials and disc competitions. 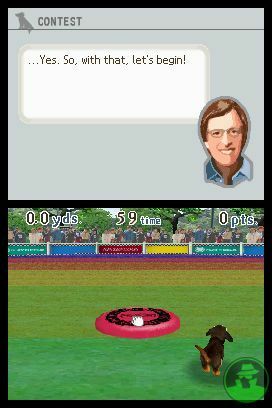 Over time, the pup’s stamina will increase so players can explore farther and farther. Players also can interact wirelessly with their friends’ Nintendogs – they can set their DS to bark whenever another puppy is within wireless range.